READ THIS BEFORE YOU GO TO A CONFERENCE OR NETWORKING EVENT! Set out to meet as many different people as you can... not to "get gigs" but rather to get to know people. The conference is there for you to find as many people as you can that resoante with you and you with them. Just make sure you follow up as you promised. For extra bonus points, before you even go to the conference or event, do your research. If the event has a Facebook group then join in and introduce yourself. Google the speakers and teachers. Find similarities up front before going to the conference and begin interacting with them now. Then when are at the event you can avoid the awkward stalking and skip right to the “hi how are you Facebook friend?! Great to meet you in person!”. 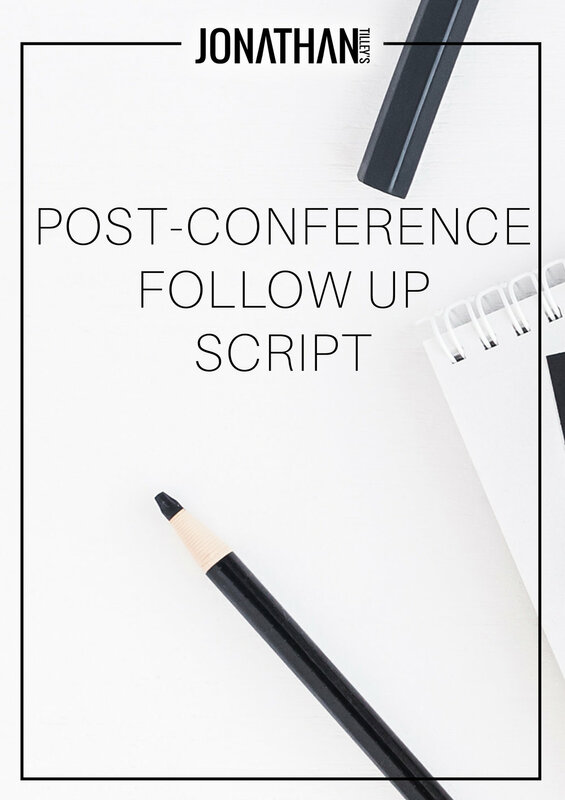 Enter your info below and get the FREE Post Conference Follow Up script in your inbox.